The top bunk is designed for a standard thickness mattress, 8" - 9". The trundle is designed for a mattress no thicker than 9". 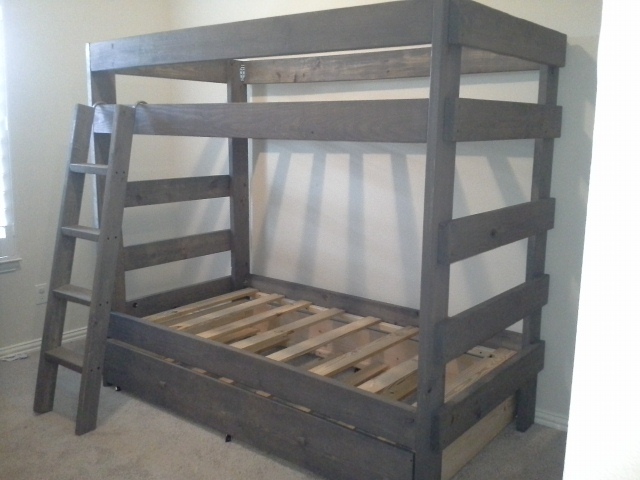 This bunk bed is designed to not need a box springs--just place the mattress directly onto the wooden slats. No 'bunkie' boards needed.